My fearless leader aka Mary Fish posted for the Pals to challenge themselves to use a color they never use or almost never touch! I knew right away that color for me was So Saffron. Nothing wrong with the color but never use unless it is in a color challenge. So today I pulled out my one piece of card stock and decided to go all Saffron (and Whisper White)! Sending this to my step mom! I grabbed my Chalk Talk set to use since it is retiring and wanted to use again before I sell it. 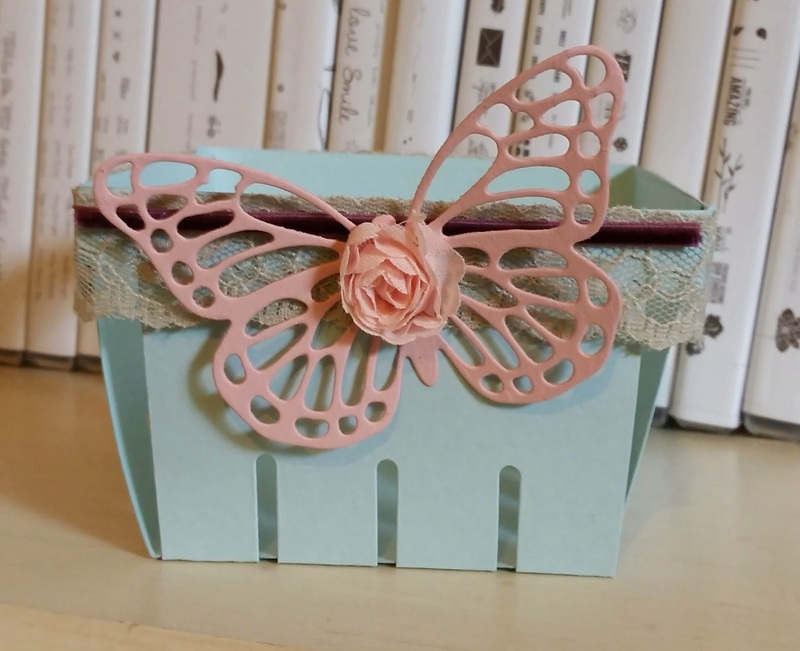 I was looking on Pinterest for inspiration when I ran across a card by Julie Davison at juliedavison.blogspot.com she had made as a wedding card and then remembered I need one of those for May. 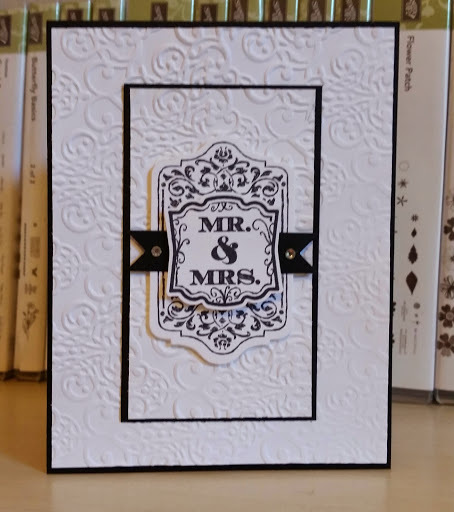 Really like how simple this is because this particular couple will love it! 2014-2015 Annual catalog retiring sale now through June 2nd. I felt like a little more Stippled Blossoms in purple! Such a quick card that looks so WOW! Fun with DSP should be the name of this card. 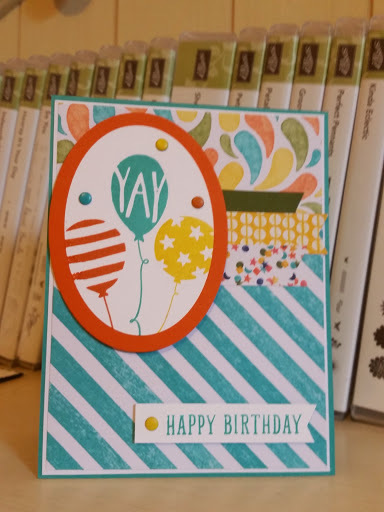 I have lots of the Birthday Bash DSP so glad to use it! 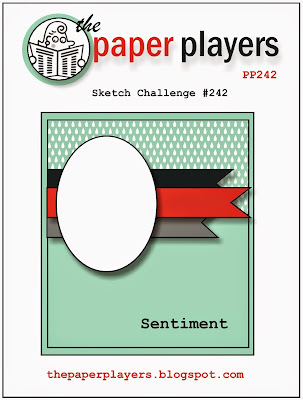 Join the sketch challenge over at The Paper Players and have some fun! I made this card for my mom who is looking at knee probably sooner than later. She has so damage to one knee. 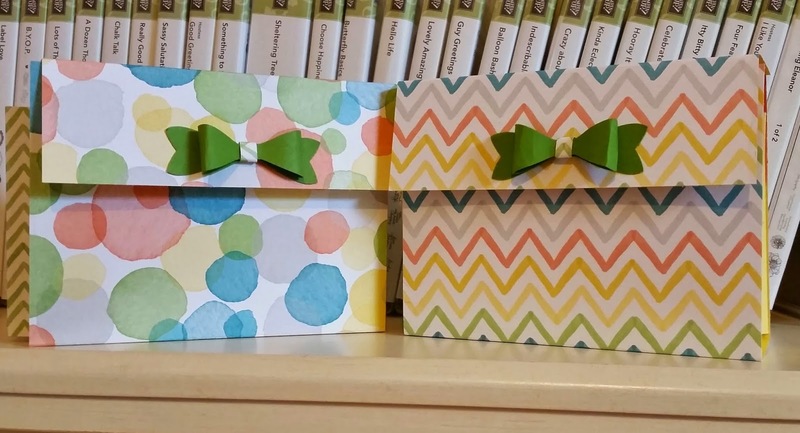 I know she likes this saying so I looked up Melon Mambo color combos on my color coach and choose these since I already had a Melon Mambo Labels framelits die cut. Love me some Elegant Eggplant anytime! 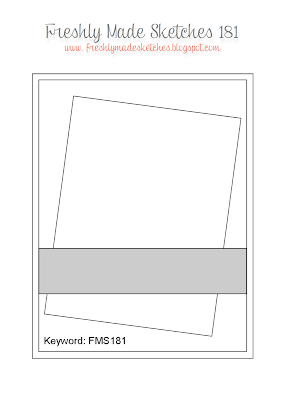 Yes, these framelits and this set are retiring now with the end of the 2014-2015 catalog on June 2nd! Get them while you can and at a discount price! I cased this card after seeing it on a video by SU! 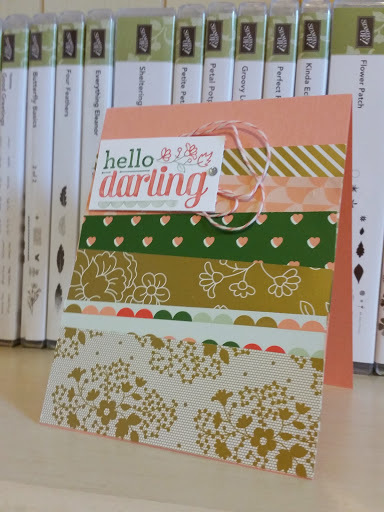 I wanted to show the Hello Darling set and the Gold Soiree Specialty DSP that are retiring with this 2014-2015 catalog. The catalog offically retires on June 2nd but these items are available now at a discount while supplies last. Great Sketch by Linda C this week over at Freshly Made Sketches...check it out and play along! Love this set but did not use it as much as I should have. I hope you are getting some good deals with the SU! retired list discounts! 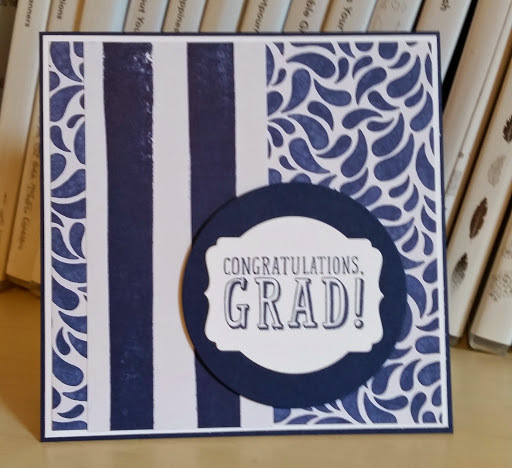 I designed this card in mind for upcoming grads. I will have several more to make in the next month. 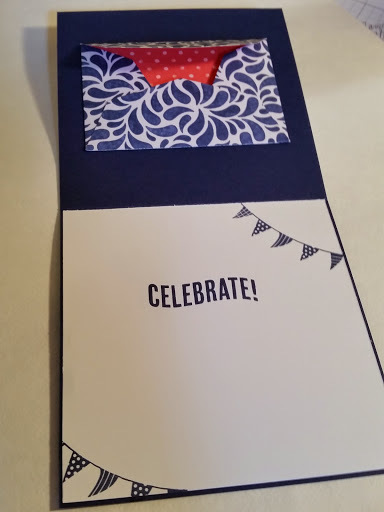 I added a gift card "pocket" to the top of the inside of card for a gift card or money. 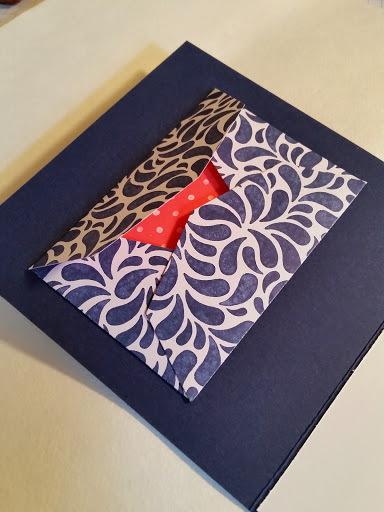 I usually do not do one color on a card but I love this DSP and the patterns looked so crisp with just being Navy and White! I hope you will head over and join us this week with this great sketch. Out of the many stamp sets SU! is retiring starting now through June 2nd, this stamp set got a big sigh from me! I really love this set though I did not grab for it as much as I should have! I designed this after pulling my retiring sets because I wanted to play one more time! 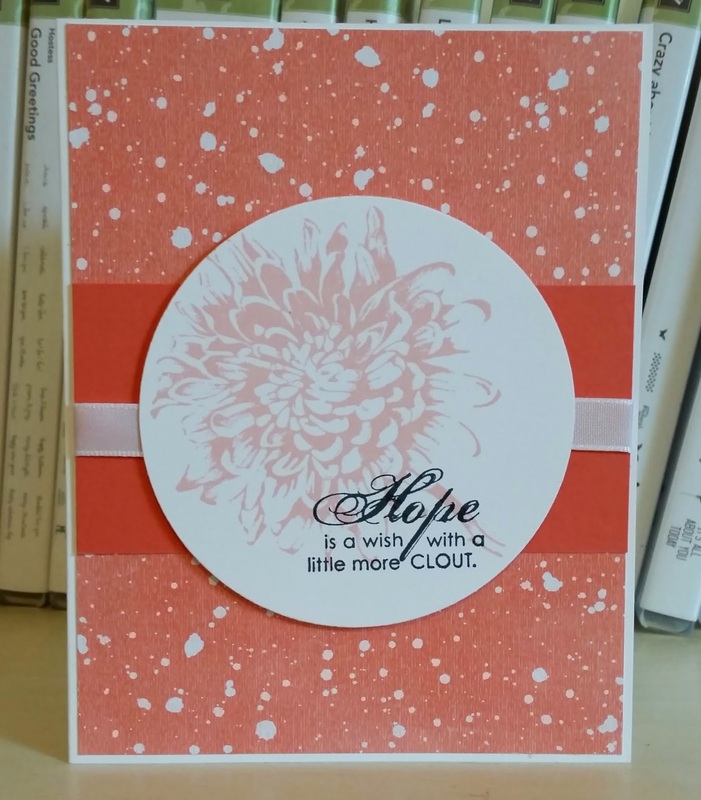 The modern label punch on the bottom of card in Calypso Coral is also retiring. I used to use it a lot back not so much lately. I hope you have wonderful Wednesday and thanks for stopping by! I need to say "I wish I had not waited so long to buy this die!" I love the effect and how easy it is to use when you use the Transfer Adhesive sheets and a piece of wax paper. 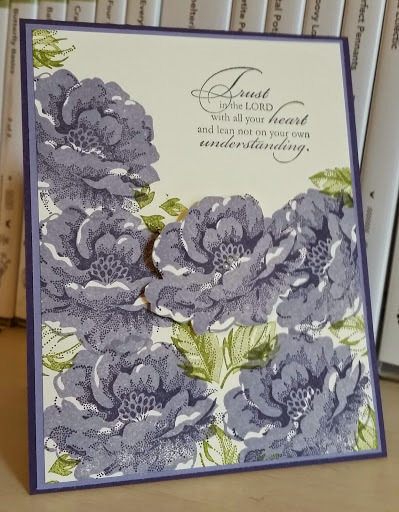 This card is for my mom who has has had much pain in her knee lately and not sure what to do. I hope you have a wonderful week! 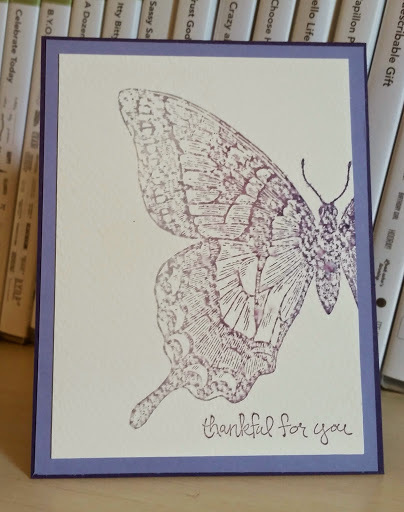 I sponged three purples on the butterfly stamp and then sprayed with water before stamping on watercolor paper. I then sprayed more water on the paper. The water color effect did not show up great in photo but I like how clean and simple it turned out. 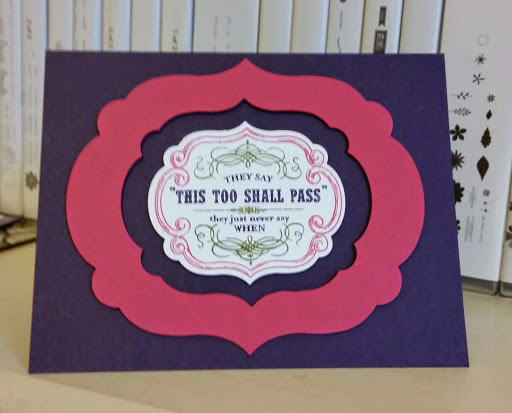 I was asked by a friend to make for her a grad card for her daughter graduating next month. She asked for yellows and greens and I ran across this paper I have been hoarding for some time. I thought it worked great. I even made a custom envelope for it. 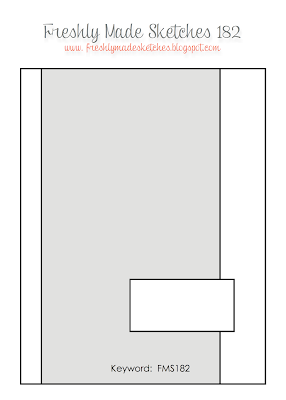 The card measures 5" square. All the products are vintage. I hope you have a blessed Sunday and thanks for stopping by! 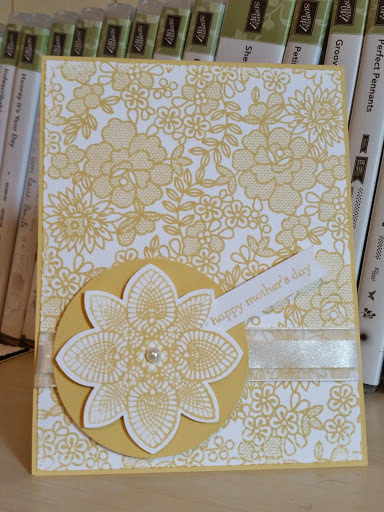 Hi, I was making a few simple cards for my mother's stash. She likes to send out cards but loves that her friends then call her about receiving a handmade card and she gets to brag about me. Pretty sure it is the only time this happens! I am adding these and several others to my Mother's Day package heading out in a few weeks. 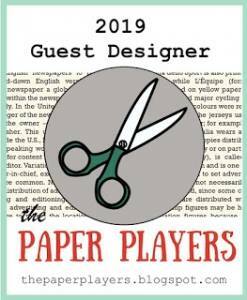 Great Sketch especially to show off some Designer Series Paper! Just happens to be one of my favorite things about getting a new catalog (anytime of the year). 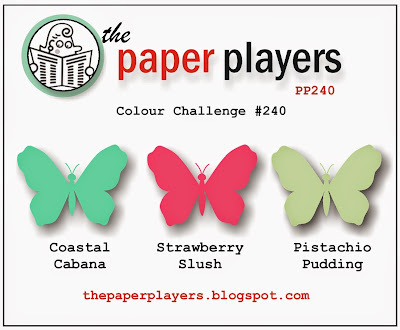 I want to see the new paper and the great color combos and patterns! I just have to wait a few more weeks and I get the sneak peak of the new SU! 2015-2016 annual catalog! The two yellow panels on the each side of the flower pattern from Painted Petals suite is the other side of the DSP. 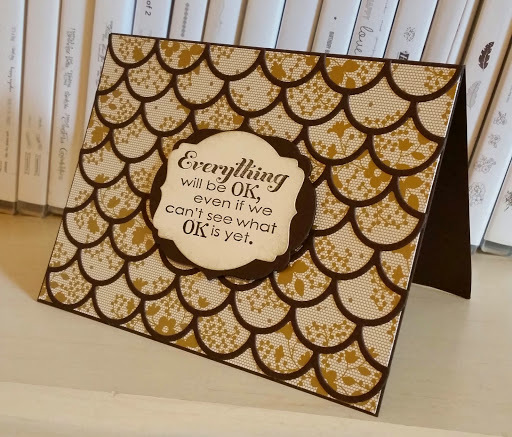 The pattern is a watercolor effect with Daffodil Delight but not really matching the Daffodil Delight card stock I used under the sentiment! I went with it anyway! A little like the sketch. 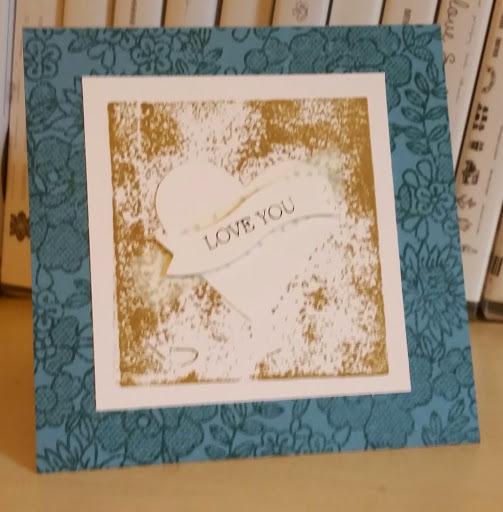 I used a clear block to stamp Baked Brown Sugar as the center background. I cut a heart shape and layered on top and then a strip of washi tape and then the Bitty banner with Love You from Itty Bitty Banners stamp set. 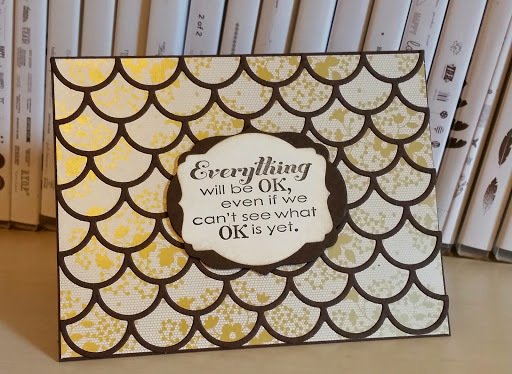 I stamped the Something Lacy background in Lost Lagoon on Lagoon card stock. 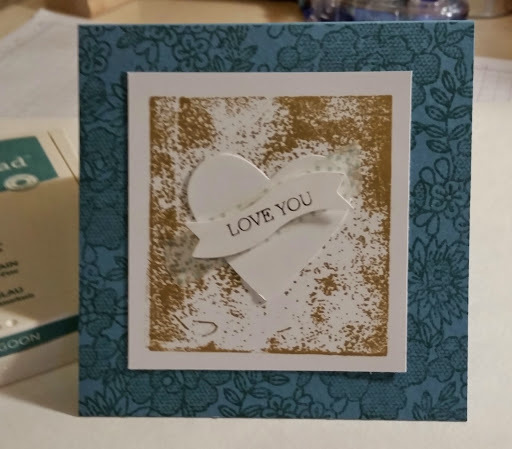 A small, quick and sweet card! Have a blessed Thursday! Thanks for stopping by! Anyway, they are easy and fun to make and these were quite colorful. I like these colors together but to use them is not a challenge for me. So I added, for myself, to use a set I have not used in a very long time. Right away Daydream Medallions came to mind and I cased a little from the King. Yes, Brian King at stampwithbrian.com. 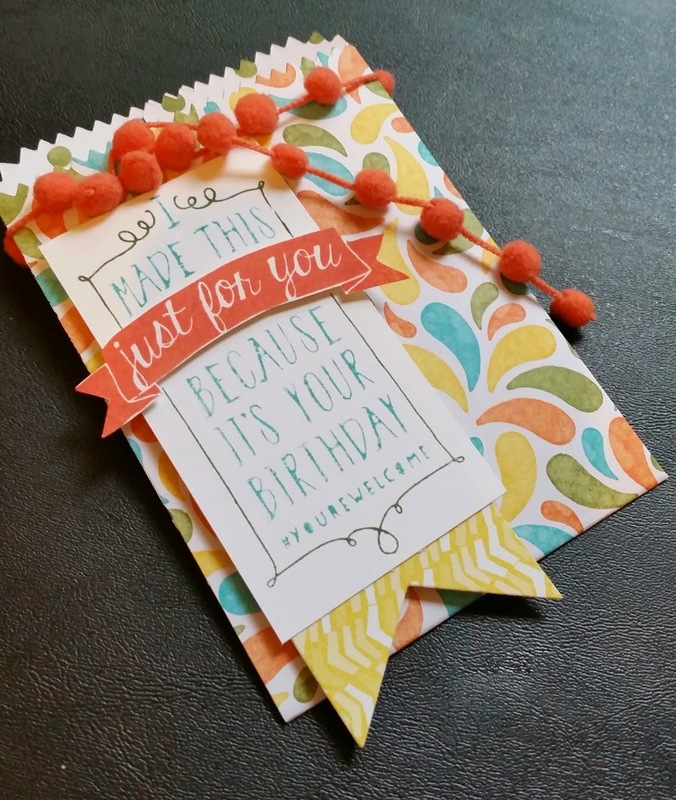 He used different colors and sentiment but main layout was the inspiration! Go ahead and play with these colors before they retire in the next month! Thanks for stopping by! 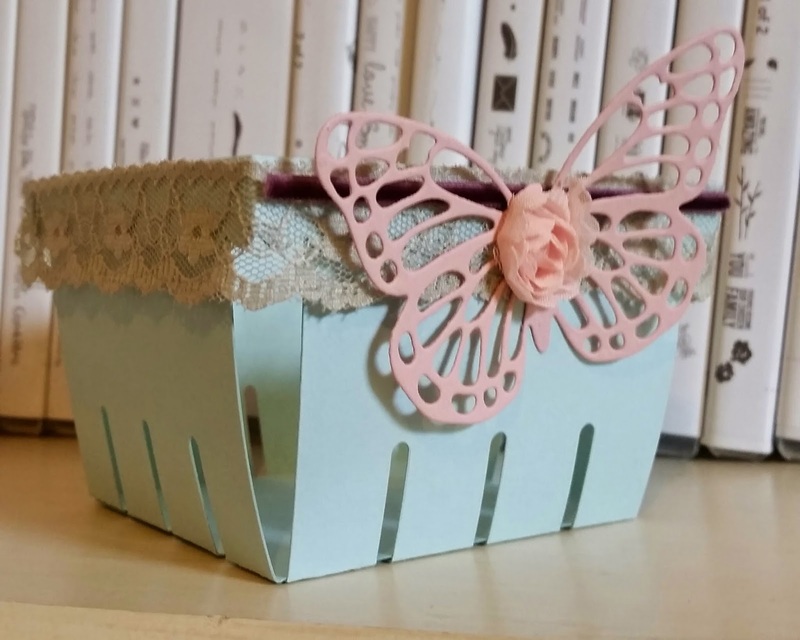 Love the simplness and the paper piercing, too! 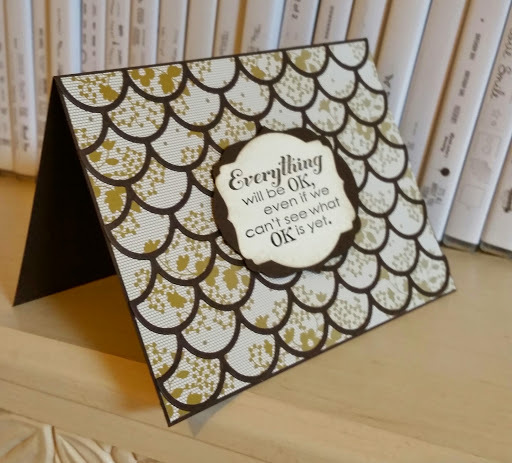 I changed a little on card stock, sentiment (thinking of my mom) and colors. I hope you have a blessed Monday and thanks for stopping by! Here is my Father's Day card for class this week! 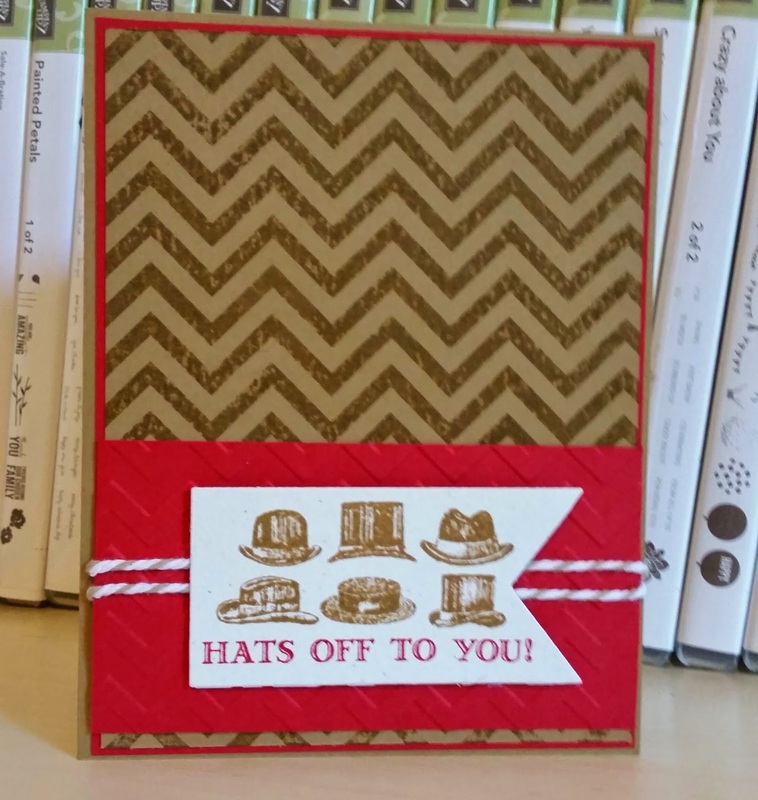 I wanted lots of the Chevron stamped background to show and love the hats! 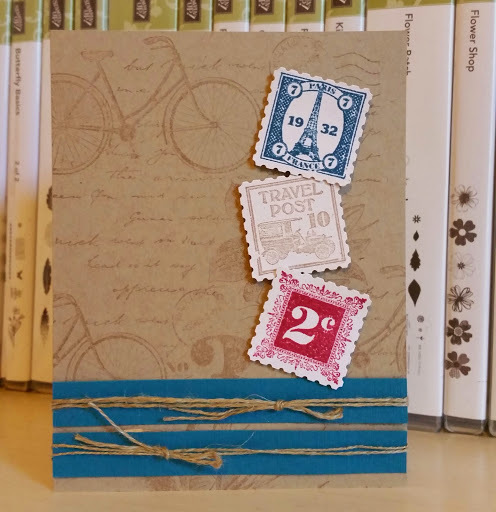 I saw a card by Ann Schach at stampinchic.com that used these colors together for a masculine card with this same stamp set and really loved the combo! 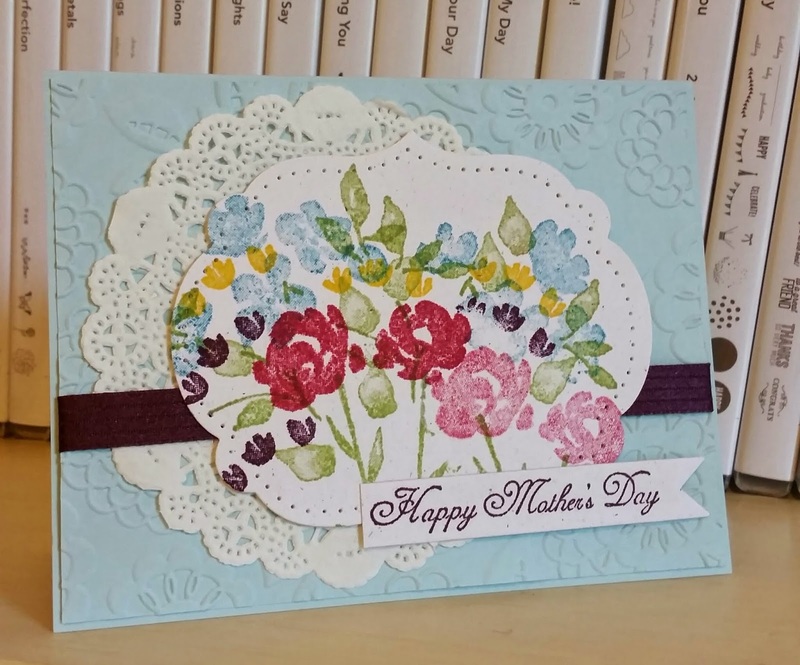 Here is my Mother's day card for this next week's card class. I did a little casing from Jan Tink over at stampspaperscissors.typepad.com. I love the spray of flowers and each person's will look different when they stamp in class! can't wait to see them! 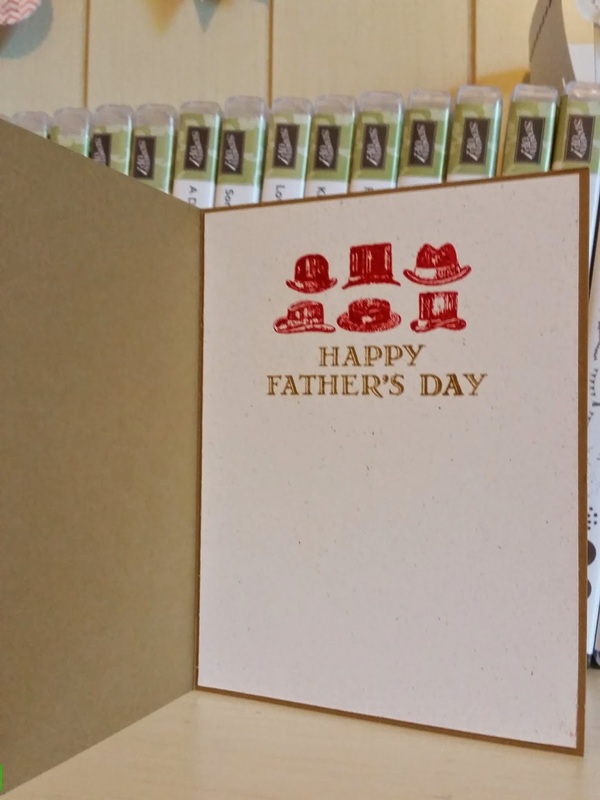 I will have the Father's day card posting tomorrow. I will be going oout of the country for most of May so no class but want people to have a Father's Day card on hand! 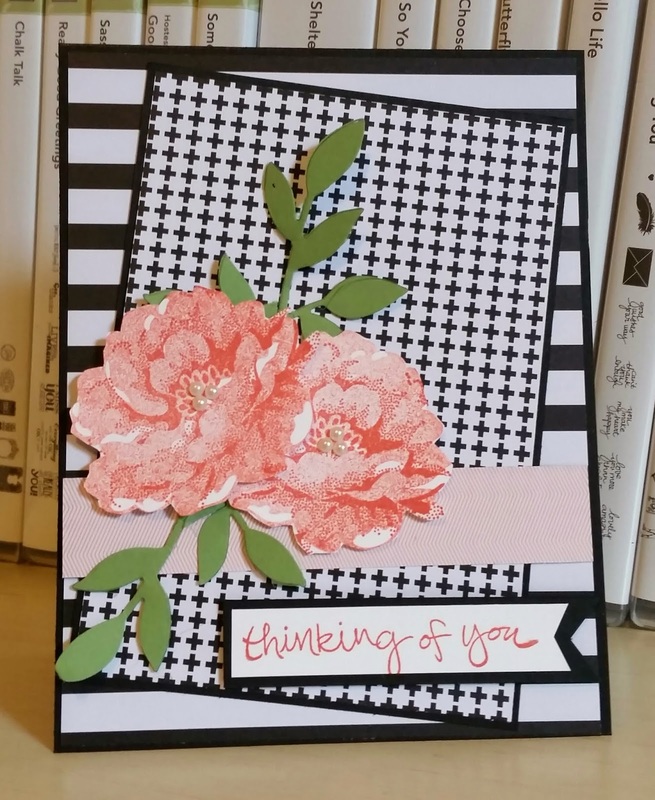 FMS181 Thinking Of You With Blossoms and Last Day Free Shipping Offer! I started this great sketch challenge with DSP. I still lots of the Stacked With Love DSP from the Occasions catty. I bought two packs because I love the black/white paper. Next I decided on flowers that were easy to hand cut but would have grabbed for my Real Red but on the back of one of the DSP I had cut was the light Coral so went with Calypso Coral flowers which still pop! 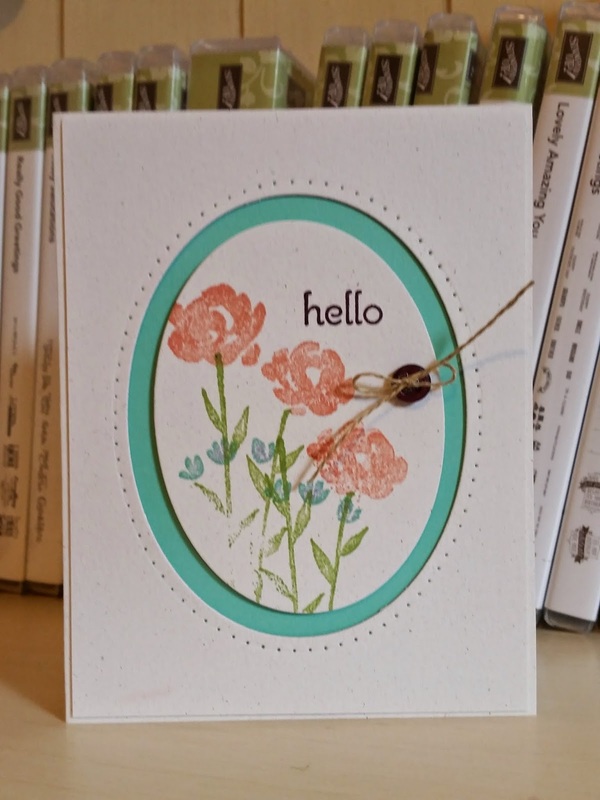 I used the vintage Little leaves die with Wild Wasabi card stock for leaves and this card came together fast! 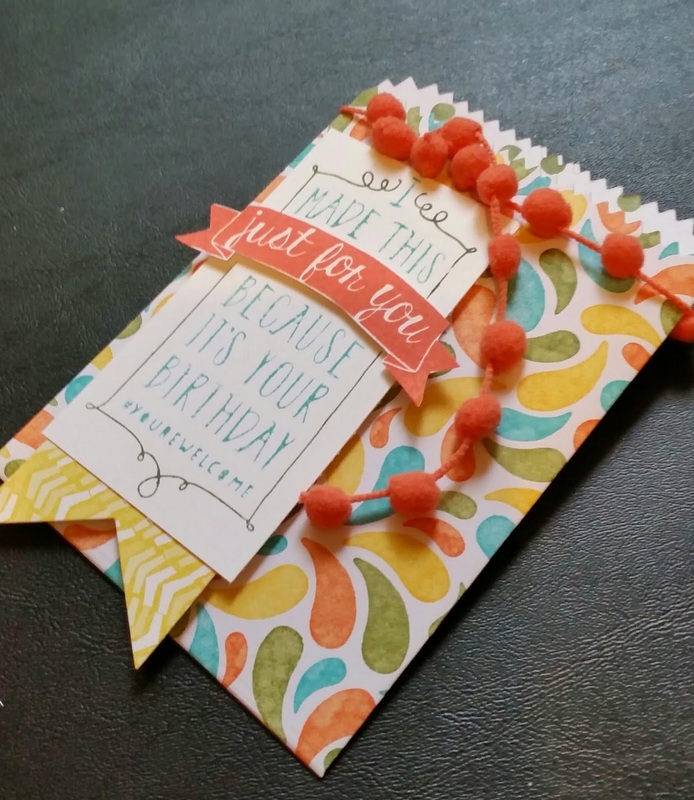 Yes, I finally got to use some of my Artisan Embellishment kit from the 2015 Occasions Catalog! But more importantly, this card is so purple! Actually, going with the Sahara Sand did soften it down. But I knew I just had to work the Sahara Sand lace trim in so there we go! 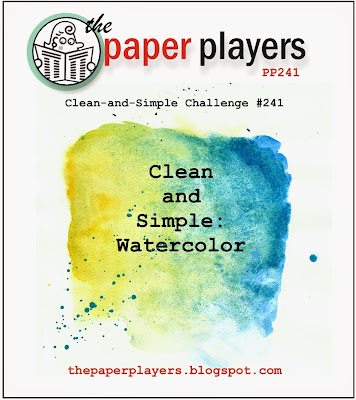 I hope you will jump over to Palspaperarts.com and join in this color challenge with my favorite colors! This is card #3 for card class next week! 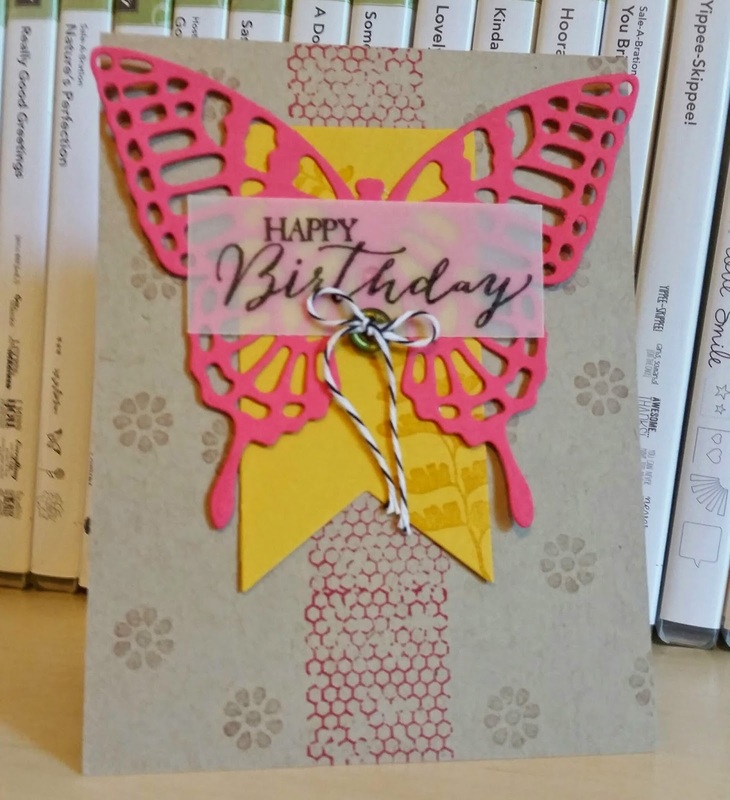 Using some elements from the Butterfly Basics stamp set and the dies. 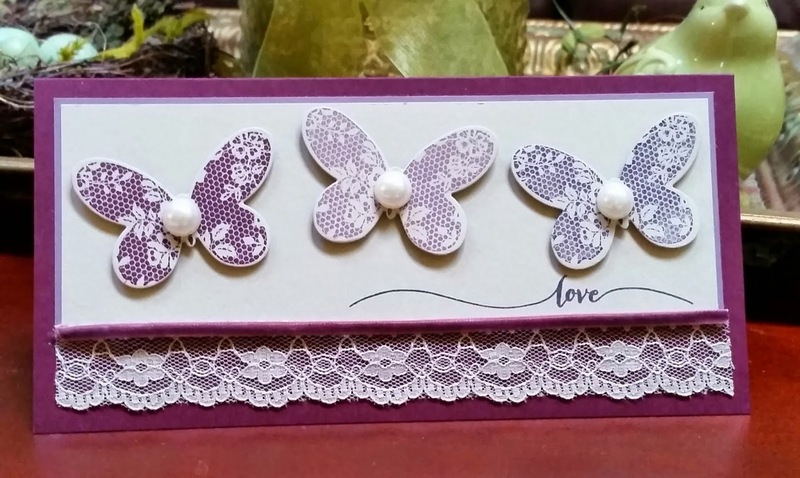 I like the added vellum look here to stamp a sentiment on but still see the beautiful butterfly die cut! I hope you have a wonderful Wednesday and thanks for stopping by! Basic Black twine, Banner framelits dies, Butterfly thinlits die, 2014-2016 in color button in Mossy Meadow. 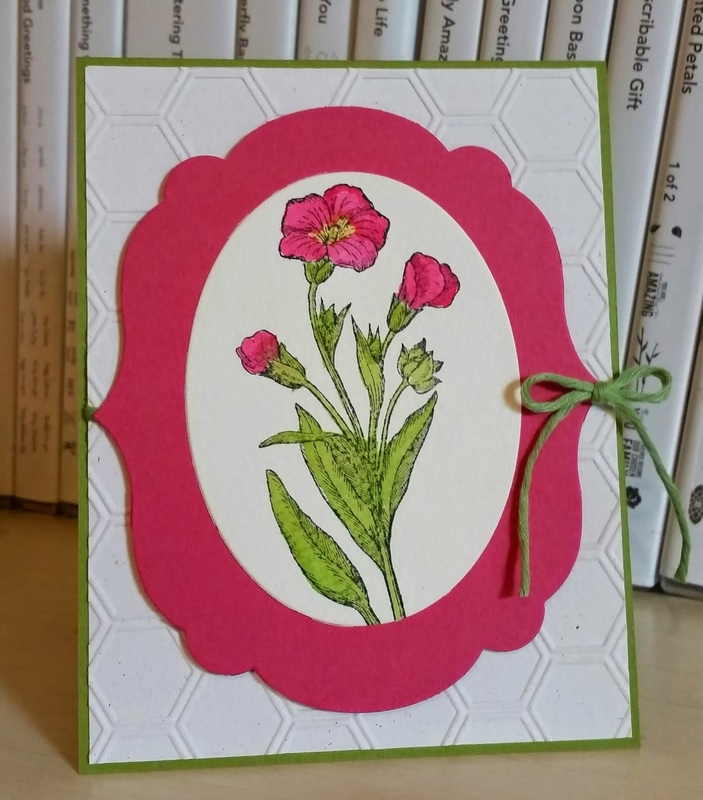 This is the second card for April card class next week (first was a card I posted on March 23rd for a sketch challenge). 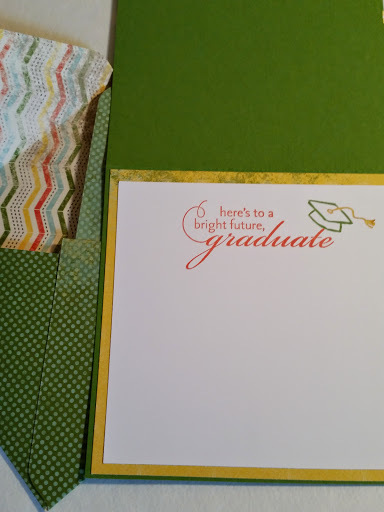 I always try to have a card that we do some heat embossing on. 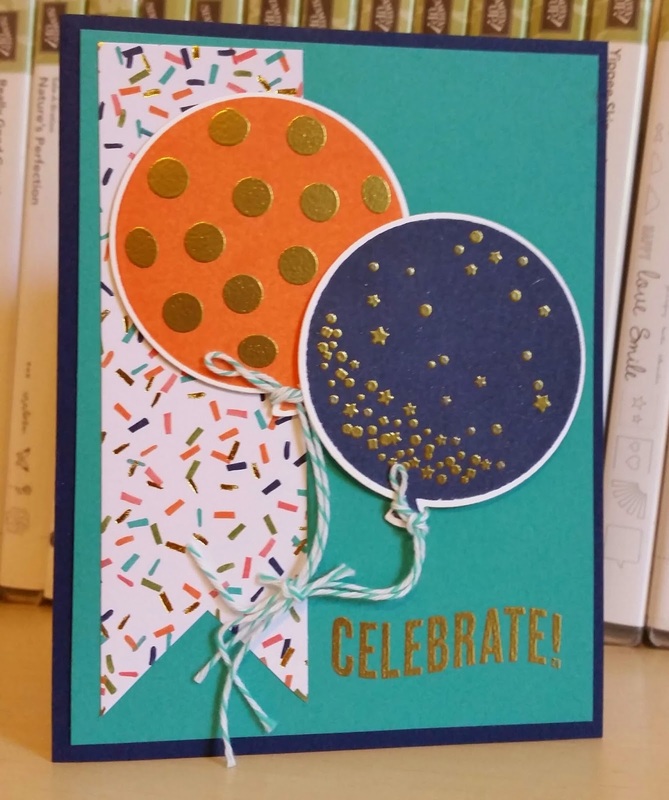 I saw a card by a fellow Pretty Pal and demo, Sherrie Gross at stampinsherrie.blogspot.com emboss right on the balloons so I had been waiting to do that for a class card! It does not show well here but the flakes of gold in the DSP really stand out with the other items embossed in gold on this card. I felt like doing some watercoloring this weekend! I had the Melon Mambo frame already cut from a card class last month sitting on my desk so I thought these flowers would look great in Mambo and I was right. Mambo is so rich a color it works well to make anything pop! I added a little Daffodil Delight to center of large flower and colored the stems with Wild Wasabi. This is stamped with Black StaZon ink on watercolor paper. Just sharing a sweet berry basket today! I hope you have a wonderful and blessed Easter! 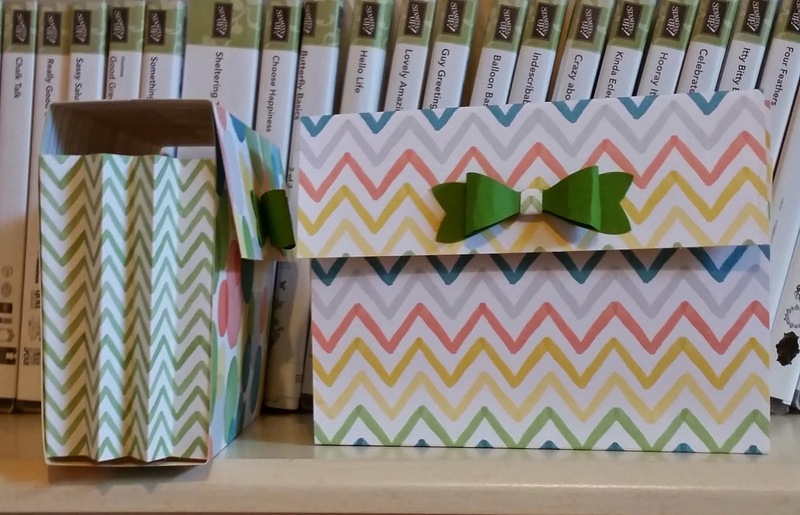 Copied this treat bag right out of the 2015 Occasions catty on page 12. I thought it would be perfect for one of my best friend's birthday gift. 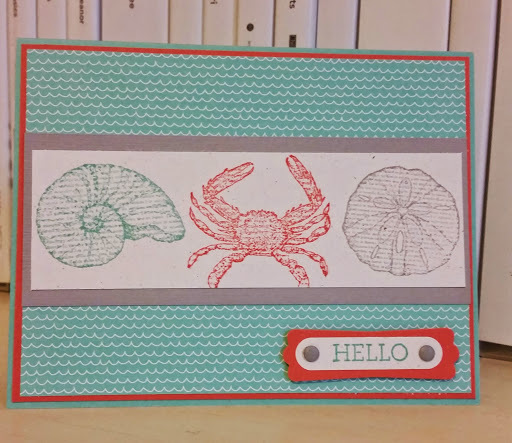 I colored the stamp image in Mossy Meadow and Bermuda Bay markers and stamped. 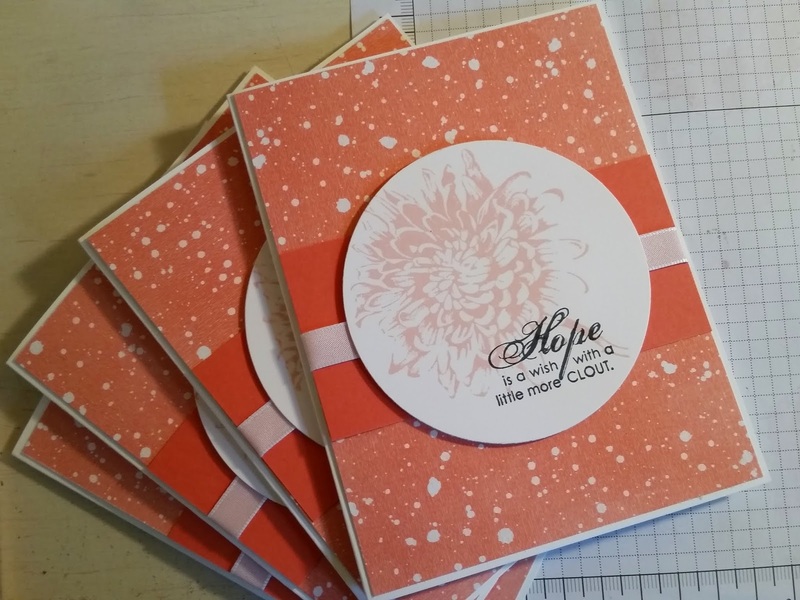 Then inked up the middle of the stamp in Calypso Coral so I could stamp and cut the "just for you" out and pop it up on dimensionals! I hope you have a wonderful Easter weekend and thanks for stopping by!